Dave joined the L&A team in 2007 after working as a volunteer on a playground build in his town. 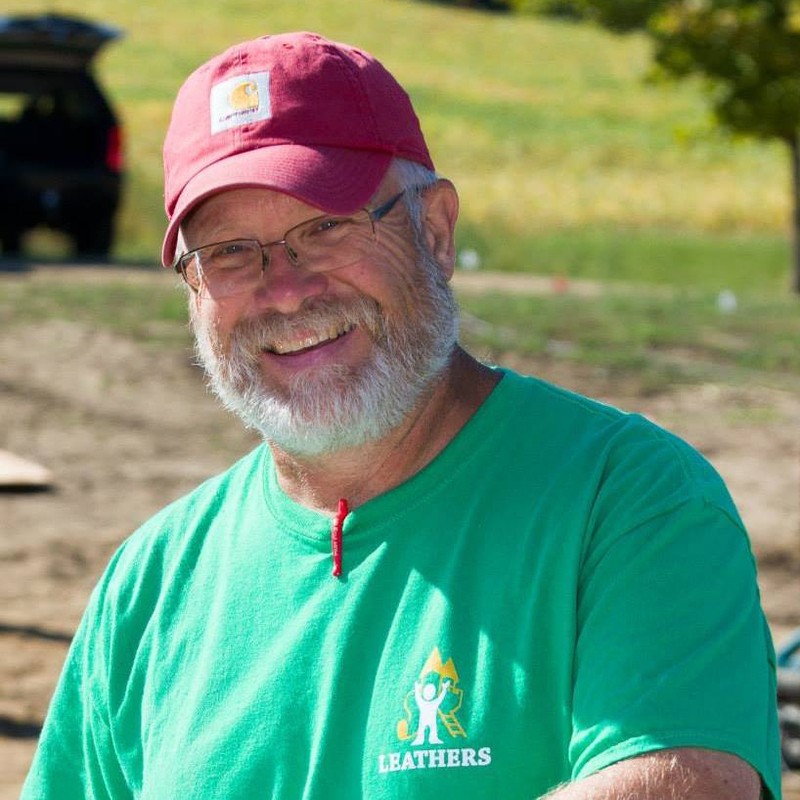 That experience jump-started Dave to continue to work with Leathers and empower others to invest themselves in the incredible process of building community as we build a playground! He brings over 25 years of experience working with volunteers on construction projects all around the world! He has worked alongside thousands of volunteers who supply the “people-power” that enable communities to complete the playground of their children’s dreams! Dave has worked on L&A projects from coast-to-coast, and is always coming up with new opportunities in other parts of the world through his many connections! His “people focus” really shines on our builds as he helps volunteers of all ages and from all walks of life discover hidden creativity and talents in their own lives! One of Dave’s greatest joys is working alongside volunteers in the building process as they explore new ways to build a component. His smile and positive energy are a great motivation for many! Dave’s role extends beyond supervising playground builds, he is also knowledgeable and proficient as a Project Manager. His extensive building experience helps when staying connected with past projects and assisting communities with plans for playground renovations, retrofits and replacements. In addition to his broad community-build experience, he has also led contractor installs. “Dream Big” … and “you can do it” are two of Dave’s favorite sayings!